Welcome back to part two! As I've said, I was in Australia for eight weeks and it would of made for an absolutely massive post so I've decided to break it up into two parts (if you missed part one click here). At one of the meetings with CAPA we were given a presentation from a woman with the travel company Phi Beta Dingo (which I can't find a website for online now). The company had a lot of short weekend trips and little excursions for a pretty decent price that got us a little out of Sydney and trying new things. I don't like trying to plan trips or things to do like this myself so I signed up for a few. The first trip I did was a Hunter Valley wine tour. This little outing included tastings at three or four wineries with some free time to venture off to the others nearby (I ended up with a total of five tastings). 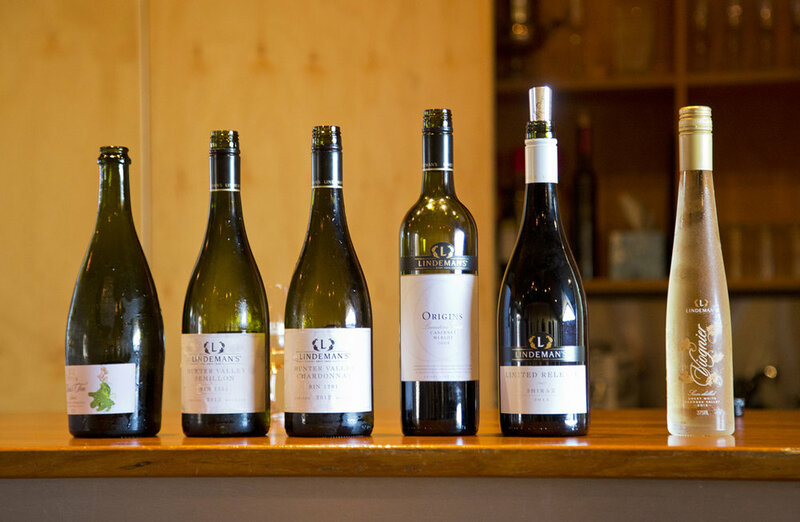 I decided to do this particular day trip because, from what I was told, Australians are very proud of their wines so I had try some while I was there. I'm not exactly a wine expert and, at the time, the only wine I really liked was Moscato or desert/very sweet wines so I didn't end up loving very many of the wines I tried. The experience was still very fun and I'm glad I did it because it got me into trying a lot more varieties of wine and I've since done a few wine tastings and fortunately my tastes have grown. The next leg in my big Australian adventure was definitely the most exciting. I got to go to Cairns in North Queensland. This excursion was the longer out of the two away trips I decided to do with Phi Beta Dingo. This one was for four days (two of the days being for travel). We left on a Friday morning and on my first half day a lot of the people in the very large group of CAPA students that went decided to go skydiving or rafting. Considering getting to Australia was my first time ever flying I was not quite ready to jump out of a plane yet. I decided to take the extra time to rest since I was pretty under the weather at this point (I caught a cold that lasted three of the eight weeks I was in Australia) so I would hopefully be a little better for the first full day. On Saturday we went rainforest hopping and saw some waterfalls and a few other cool little spots. It was a bit chilly in Sydney, I think around 60° F, and in Cairns it was around 80° F so it was quite nice to have the change of weather and warm up in the sunshine. Sunday was the exciting day. Sunday I got to go snorkeling on the Great Barrier Reef. Of course to get out to the reef we had to take a boat where I quickly found out that I get horrible sea sickness (I don't get motion sickness though). We stopped at three locations on the reef where we got to get out and go snorkeling. It was a lot warmer in Queensland but the water was still a bit chilly so I wore a wetsuit. This was by far one of the highlights of this whole trip in Australia and one of the coolest things I've ever done. I so wish I had checked out an underwater camera so I could of taken my own photos but I did not so now present me is shaming past me for this lapse in judgement. This photo was taken by the photographer with the tour I was on. Glad there was someone taking photos otherwise I wouldn't have any! I wanted to see as much as I could during the time I was abroad so the following weekend I went off for a three day trip to Port Stephens. In Port Stephens I got to feed and touch small sharks and rays as well as have a gigantic ray come up onto my lap which was not my favorite thing, not gonna lie I was pretty terrified. We went to a cool little winery/brewery and had a flight tasting there and I brought back a bottle of Murray's Celtic Cream which essentially taste like Bailey's but better. Then we had a hike up Mount Tomaree that pushed my legs to the limit (I hadn't found cycling yet and had weak legs) and then we had a whale and dolphin watching cruise to finish the evening. 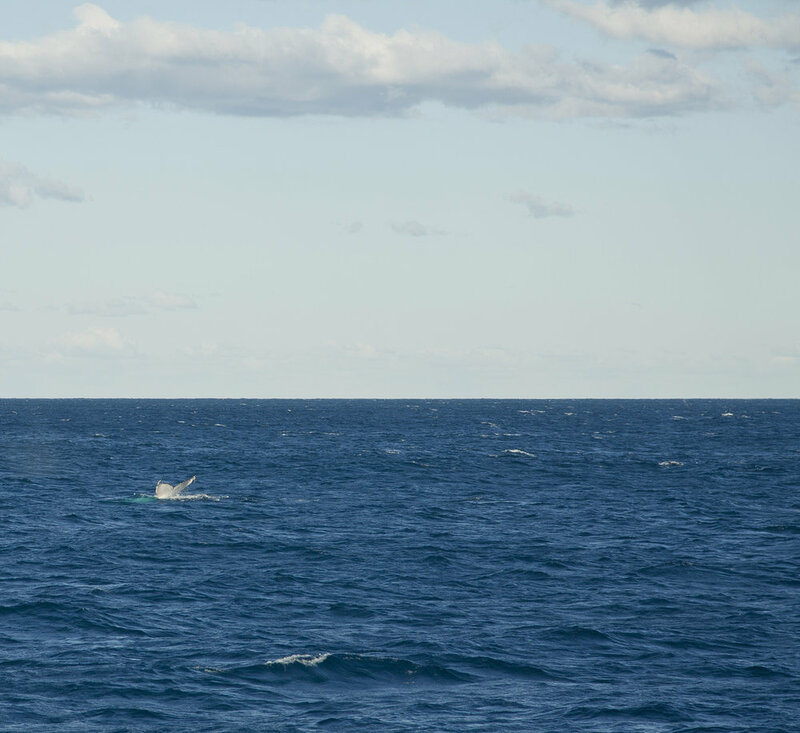 I know whale watching doesn't sound super exciting but it's actually pretty cool seeing such big creatures up close like that (I made sure to stay outside/on the upper deck so I wouldn't get sick this time). On the way back to Sydney we stopped by a place where you could go sand boarding (I didn't do this because I have terrible ankles and did not want to get injured) and have a camel ride. 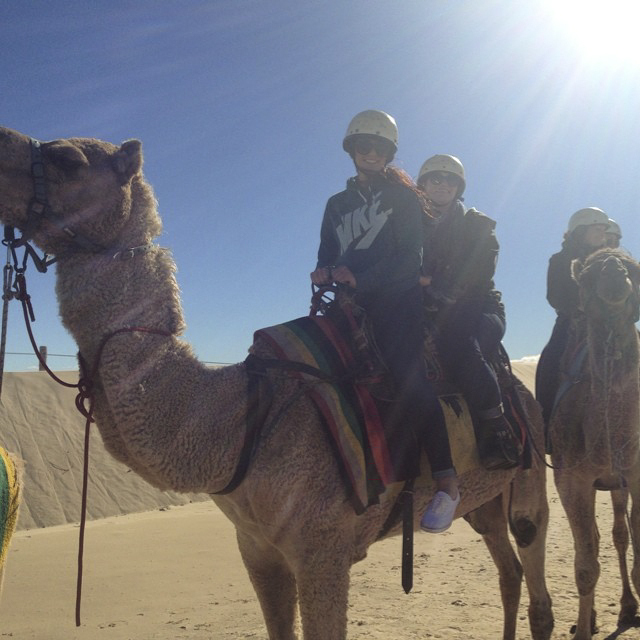 That's right I rode a camel. This was kind of a big deal to me because I am terrified of horses and camels are even bigger. To make matters worse the camel I was on did not want to get up when it was time to go and kept making weird noises so he was promptly dubbed Widow Maker. This was a fun little weekend getaway that got me seeing just that much more of lovely Straya. Nearing the end of the trip, my roommate and I decided to venture out to Cockatoo Island because why not? There's a lot of abandoned warehouses and boats on the island and it's just a cool little spot to see Sydney from a different vantage point. 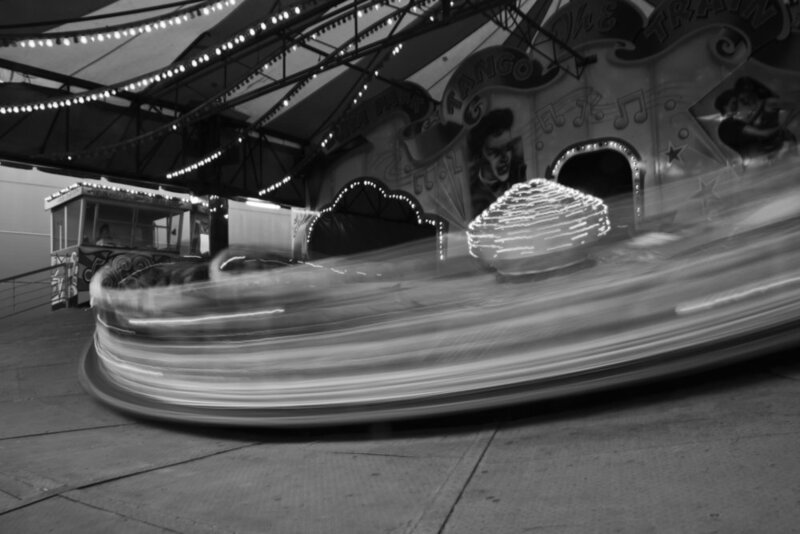 I think it was the following day Grace and I went to Luna Park. Luna Park is a small amusement park at Milsons point in the northern shore of the harbor accessible by ferry ride (my fellow Mary-Kate and Ashley lovers might recognize it from the film Our Lips Are Sealed). It was small and more geared towards children so alas there weren't any crazy rollercoasters but we still had fun going on the ferris wheel and walking around taking pictures. We had to wait a bit for the ferry to arrive and take us back to Circular Quay and it just so happened to be at sunset. From Milsons Point there's a great view of the Opera House and there was the most beautiful pastel pink sunset this evening. The photo I took that evening of the Opera House is one of my most favorite travel photos I've ever taken. The last bit of photographs I took were at Bronte beach. My internship was in Bronte and I could see the ocean from the back door. Literally a dream location! Of course it was cool since it was the middle of winter so there were not many people at the beach. Still a beautiful day and so glad I got spend my last day at the office on such a good note. This trip was such a learning experience for me, and while of course I wish I would of put myself out there a little more and not been so homesick, it was still the trip of a lifetime. I hope to go back, definitely when it's warmer, and be able to enjoy the beaches a bit more. Hope this gave you an idea of some things to do if you're heading out to Australia! Thank you for visiting and have a lovely day!